- Job: Head of Spinal Division, Orthopedic Department, Royal Medical Services. Ministry of Education, Jordan 1987. Medicine, Aristotelian University of Thessaloniki - Greece 1995. - Internship of examination / Jordan Medical Council, 1996. - Jordanian Board of Orthopedic Surgery, 2002. - European Board of Orthopedics, Germany 2008. - Spine Specialty Fellowship, Germany 2008. Berlin, Germany. Under the leadership of Prof. Nobert Haas. - Tips for Trainers Course, Dubai - United Arab Emirates. - Tips for Chairperson Course, Zurich – Switzerland. - Chief of spine specialty (Jordanian royal Medical Services). - Chief of academic division of professional directory of education and training. - Clinical Professor Mua’tah University. - Educational Officer AOspine – Jordan Chapter. - Consultant Spine – Orthopedic surgeon. 1995-1996: Internal Medicine at Military Hospital 224 Thessaloniki-Greece. 8-10 May 1999: Participation in Zimmer Nex Gen R Knee - Jordan workshop. Royal Medical Services, Amman – Jordan. 4–5 August 2001: Workshop on the next gen lPS – Flex Mobile Knee. 1-30 Jun 2002: Group International Cotrel-Dubbousset (GICD) Fellowship in spine - France. United Nations, Asmara - Eritrea. July 2002-Jan 2003: Orthopedic Surgeon of peace keeping force of the United Nations mission, Ethiopia - Eritrea. 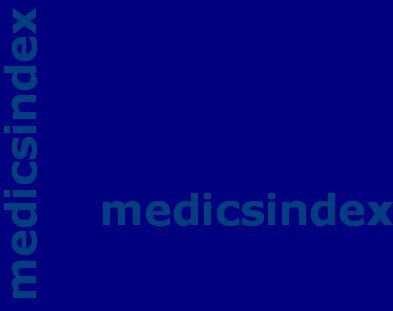 1 July-1 Sep 2003: Orthopedic Surgeon in the Jordanian Military Mobile Field Hospita the Iraqi war. 19–21 April 2004: Attended a course run by Prof. Sheinkob.M on the minimal invasive hip arthroplasty at the Royal Medical Services, Amman – Jordan. 9-12 Sep 2005: AOspine Comprehensive spine course from. Dubai-Arab Emirates. Karlsbad-Langensteinbach, Germany (Prof. Harms jurgen). Karlsbad-Langensteinbach, Heidelberg University, Germany. Unde the leadership of Prof. Harms jurgen. 2-5 Feb 2007: AO course principles in operative fracture management Amman- Jordan. 9-14 Dec 2007: AO course Advances in Operative Fracture Management Davos, Switzerland. 12 Nov-31 Jan 2008: AO Fellowship at the Charite – Campus Virchow, Humboldt Universitatsklinilum in Berlin, Germany. Under the leadership of Prof. Nobert Haas. 10 Mar-16 Apr 2008: AO Trauma and Spine Pediatric Clinical fellowship at the pediatric Orthopedic Departmint, University of Basel, Switzerland. Under the leadership of Prof. Frirz Hefti. (using VEPTR) In Basel, Switzerland. Operating Room Personnel, Amman - Jordan. 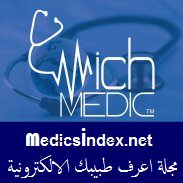 Orthopedic Surgeons, Amman – Jordan. November 2010: Tips for Chairperson Course, Zurich – Switzerland. November 2010: Chairperson of AOSpine Principles Course, Amman – Jordan. November 2010: Faculty member of First Military course of Basic Principles of Fract management, Amman – Jordan. 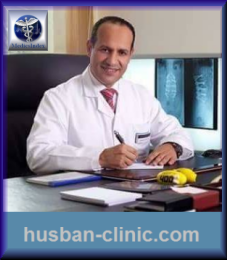 Orthopedic Assoiation , Amman – Jordan. Focus, Riyadh – Saudi Arabia. December 2012: Faculty international f AOSpine Advances Course in deformity Spine, Davos - Switzerland. 1. Member of Jordanian Greek Alumni society. 2. Member of Jordanian Medical association. 3. Member of Group International Cotrel Dubbousset (GICD). 6. Member of the scientific committee of the 3ed international Jordanian – Greek congress. 7. International member AO Spine. 8. International member AO Trauma. 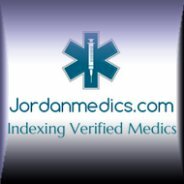 Medical Services, Amman – Jordan. 1. Lateral wedge supracondylar humeral osteotomy for treatment of post-traumatic cubitus varus (Presented in 28th annual National Greek medical conference – May 2000 Athens – Greece). Physical Medicine, Arthritis & Rehabilitation. Jordan 30 Mar – 1st April 2002). 4. Use of Mecobalamin in the treatment of early carpal tunnel syndrome (published in Medical Journal of Cairo University 22 July 2002). (published in Medical Journal of Cairo University 29 May 2002). 6. Clinical Outcome of Laceration of the Hand Using Suturing Versus Conservative Treatment (presented in The 2nd International Jordanian – Greek Medical Congress, Jordan Sep 2003). 7. Limb Salvage Procedure in Malignant Bone Tumors Using Resection- Shortening-Distraction Technique (published The Journal of the Royal Medical Services Jan 2004, Jordan). 8. Difficulties Concerning Limb Salvage Procedures for Primary Malignant Bone Tumors in Developing Countries (presented in Greek Army Medical Conference.Nov 2004, Thessaloniki-Greece). 9. Femoral Head Neck Autograft for Augmentation of Acetabular Dysplasia during Primary Total Hip Replacement (presented in Greek Army Medical Conference.Nov 2004, Thessaloniki-Greece). 11.Long Term Result of Posterior Correction and Fusion of Scoliosis Using Cotrel Duboussete Instrumentation (Presented in the fourth medical Jordanian-Spanish cogress 31 March 2005. 14.The Clinical Efficacy of Methylprednisolone Injection in the Treatment of Carpal Tunnel Syndrome. (Presented in The 3ed International Conference of royal Medical Services, May 2005 Amman – Jordan). 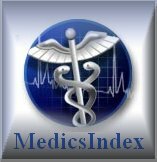 15.Therapeutic Efficacy of Peri-radicular Nerve Root Infiltration for Treatment of Sciatica (Accepted for publishing in The Journal of the Royal Medical Services June 2006). 16.Surgical Treatment of Neck of Femur Fracture Using Regional Anesthesia. Seventh edition, Jordanian Journal of Anesthesia 2006.